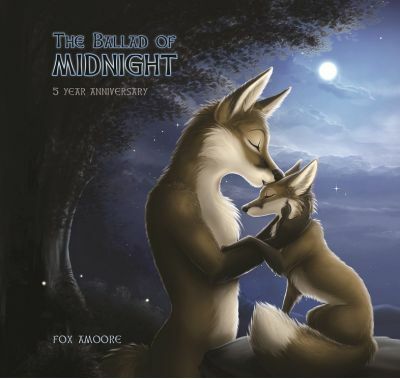 Fox Amoore's lovely album / audio CD "The Ballad of Midnight". The 5th year edition features artwork by TaniDaReal which brings the visual aspects of the album to life quite beautifully. Fully illustrated front and rear cover, 4 page booklet featuring text, photography and lyrics and a fully illustrated CD body. The album features real instruments and talented musicians including: Lilypad as a female vocalist, Stephen Cumberworth on flutes and Ryan Freres on the Violin/Fiddle. The album is presented in a full jewel case, along with cellophane wrapping to protect from dirt and marks in transit. Professional commercial store quality printing, all albums are posted in light-weight bubblewrapped packages for additional protection.